Winter brings the unfortunate combination of enclosed spaces and contagious colds, which is why now is the time to make sure your body is playing strong defense. You don’t need to be a sports fan to know that the key to a strong defense is a good offense. And oregano oil is the player you might want to put in the game. Studies suggest that consuming oregano oil can help ward off bacterial infections. Adding a few drops of it to your morning smoothie or juice (vitamin C, FTW!) could help fight off any nasty bugs you may have come into contact with. 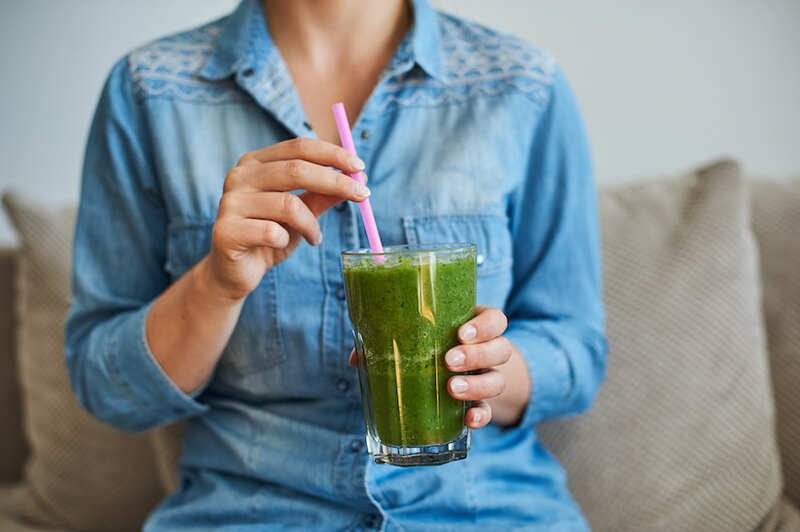 “The active compound in oregano, carvacrol, is antimicrobial, meaning it kills bad bacteria,” says certified health coach and director of food and beverage at Equinox Katzie Guy-Hamilton in an interview with Furthermore. “It’s an effective anti-parasitic, antiviral, antiseptic and immune booster,” certified holistic health coach Annie Lawless tells Well+Good. Lawless says it’s one of five go-to superherbs that she keeps in her medicine cabinet. She takes oregano if she starts to feel a cold or flu coming on and claims that it can help protect against candida overgrowth. “Oregano oil is best known for its antioxidant and antimicrobial properties,” says registered dietitian Marissa Moore. But she adds that more research needs to be done to know how it works as part of an overall diet. “Like many functional foods and ingredients, when it comes to oil of oregano, there’s the matter of knowing what it can do in the lab but a lack of solid research showing those same benefits—or risks—transfer to humans.” If you do choose to supplement with oregano oil, Moore says to make sure it’s food grade and to discuss your specific needs with a healthcare professional. To this end, it’s also important to note that moderation is key with oregano oil; only three or four drops is enough to reap the antimicrobial rewards. It’s so potent, that if regularly consumed in high doses it could backfire, becoming toxic and causing stomach pain, nausea, and vomiting. Oregano oil as a strong but supporting player—not the MVP. Consider oregano oil yet another tool in your stash of natural immunity boosters. A small and mighty add-in that gives your immune system an assist is something we can all benefit from this time of year. For more ways to boost your immune system, try this healing soup recipe. And don’t forget to get a good night’s sleep.